It’s official! I was able to bring the 12.5″ into school to advertise for my newly founded club. At my school, it’s called Club Rush, where all the clubs set up their tables and try to get people to sign up for their club. This was quite a new experience for me as I steered clear of this last year, as it indeed is very busy in the quad. 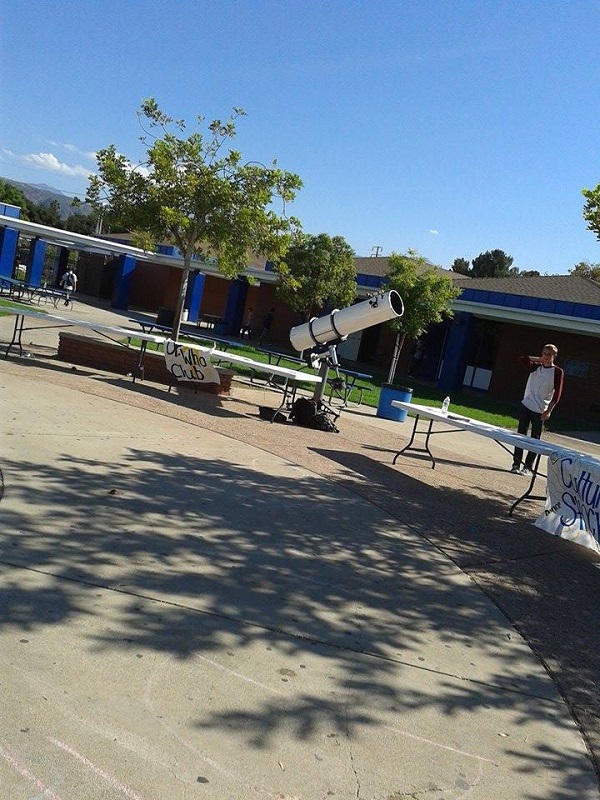 Last year I brought in the RV-6 to science class and did a talk about telescopes and such and got quite a bit of interest. All the people that were interested signed up the the club. Nobody there could quite come close to showing up that massive telescope sitting out there. Here’s a few photos. Now, what do we do at the clubs? I already have several ideas in progress, and the good people at Cloudy Nights gave me a few other ideas. But, for this first meeting, I want to gauge the interest level of the group and see who is really passionate that could help me lead and coordinate future events. You can see some of the other tables set up with their posters. The ASB actually made me a really cool looking poster but the wind got the best of it after the first day. A few of my ideas included doing a fundraiser selling some of mom’s famous cookies or some sodas or something to fund a trip up to local observatories like Mount Wilson or Griffith Park. 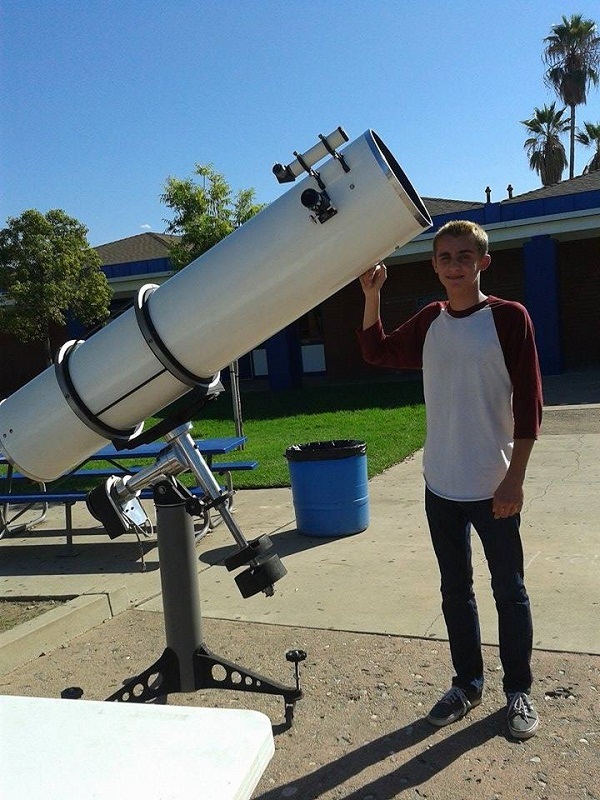 Monrovia High School has an observatory on campus which houses an 11″ Celestron Edge. It would be fun to collaborate with the surrounding schools. I also thought solar outreach at lunchtime at school would further generate interest and more members. The first meeting is planned sometime in early October. Should be really exciting!